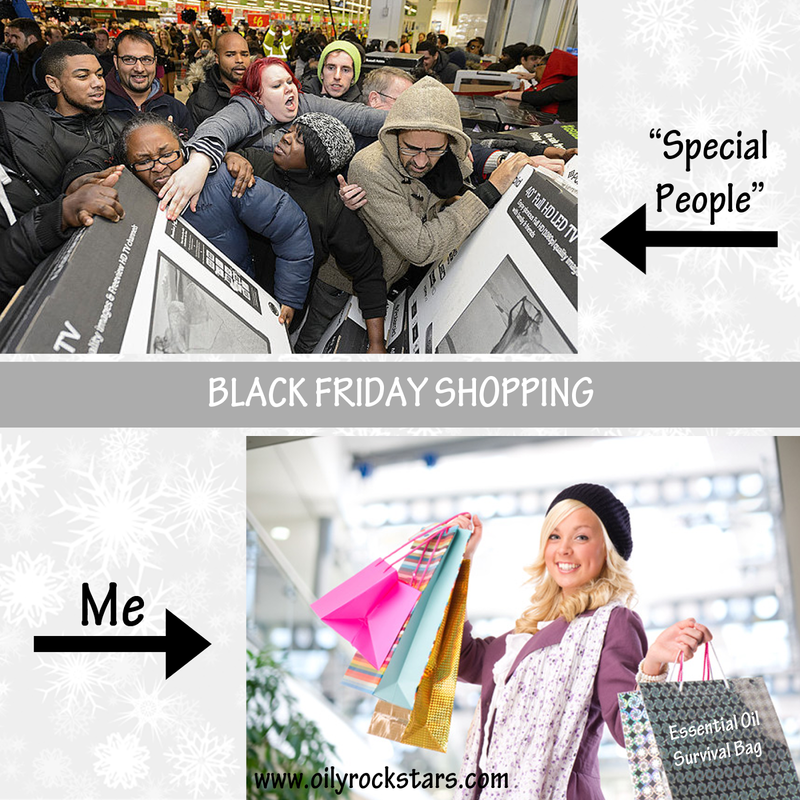 I am taking a break today from my "Smells of the Season" blog posts to share a special, fun, lighthearted Black Friday post. How many of you crazy people are going Black Friday shopping? Well guess what... I would be one of them!! Haha!! It is a family tradition to go every year. My mom and I go every single year. We map out exactly where we want to be and at what time. I am a bit disappointed the stores keep moving up their opening time. It really was the most fun when they opened early morning for a TRUE Black Friday event. But oh well, we still go. First up is a can of Ningxia Zyng. If you have not tried this stuff, you must! It is awesome!! Getting up super early or not going to bed at all can leave a girl drained and dragging. So I will be bringing a can (or 2) of Ningxia Zyng for energy support, as well as my essential oil En-R-Gee. The essential oil En-R-Gee says is all. You can't shop unless have a little pep in your step. I am sure I will be using that bottle A LOT while shopping for 10 hours straight. I snapped a roller fitment on the top and I am ready to go. 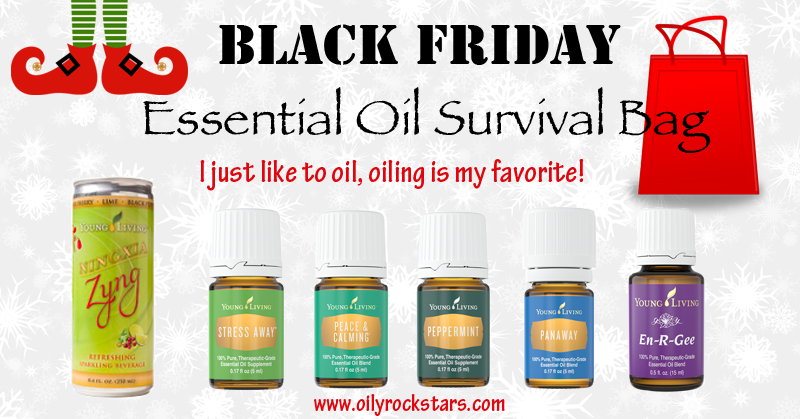 Next up is one of my FAVORITE oils... Stress Away. EVERYONE needs Stress Away at ALL times in their life. Most people I ask about Black Friday shopping say it's too stressful to deal with all the people and long lines. It can be somewhat stressful and just plain annoying sometimes but hey it's fun. This year I will oil up real good with my bottle Stress Away. We all know shopping for hours on end and dealing with lots of people can give a girl (or anyone for that matter) occasional head discomfort and even an occasional stomachache, right? Well my Peppermint essential oil will be readily on hand to help support my body for that. And lastly, I will have my Panaway essential oil. If you are a nurse and stand on your feet for LONG shifts, you can relate to needing this oil. Shopping will be no different. My feet will be begging for this oil before I get home. 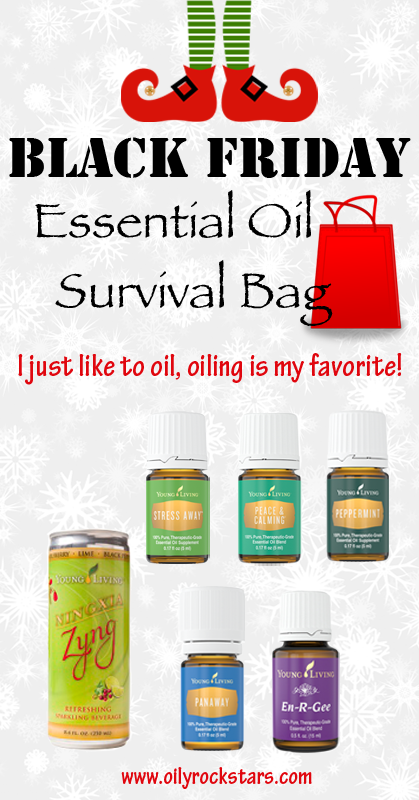 Well there you have it... My 2015 BLACK FRIDAY Essential Oil Survival Bag. I hope you found this post fun and helpful. 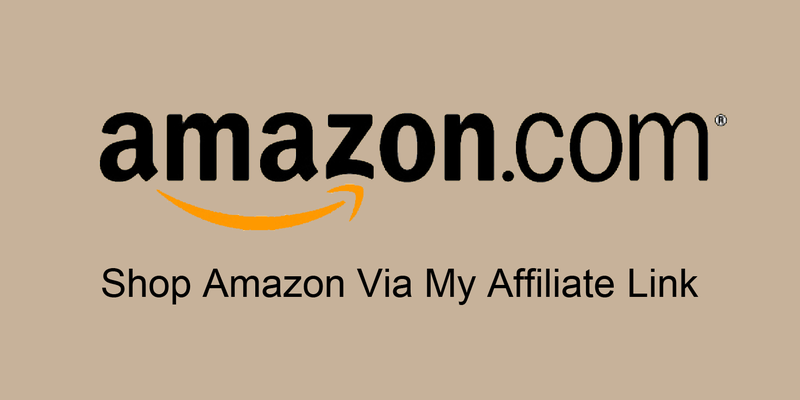 Join my Oily Rockstars Facebook Group to connect with others and share tips and recipes for DIY beauty, cleaning and much more.